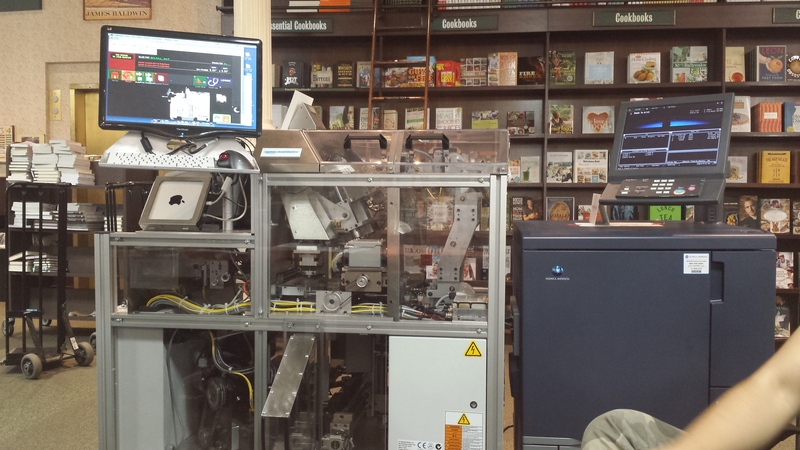 Like any good book nerd, I’ve been wanting to see the Espresso Book Machine in action. 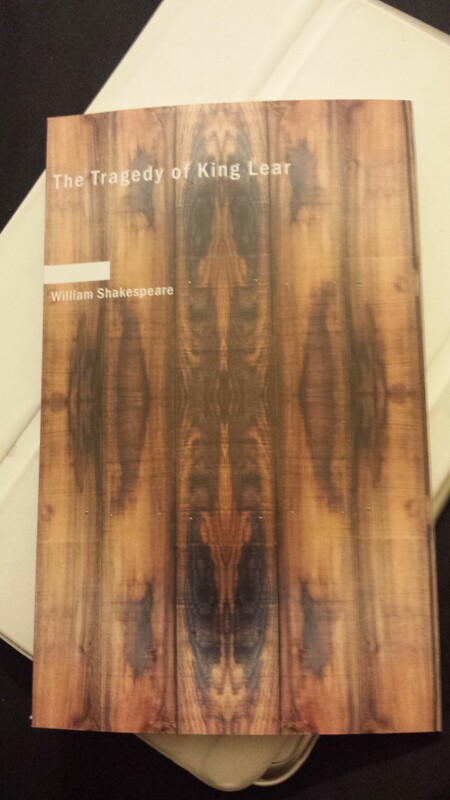 Really – how cool is it to see books printed right in front of you! Of course, I’ve known about POD – print on demand – for some time now. And I’ve been meaning to take a trip to McNally Jackson for over a year to see their Espresso. My laziness knows no bounds, though. Still in a testing phase, BN could use a catalog of some sort so customers don’t have to play a guessing game of “What Book Can We Print Today”. Most are public domain titles, but the potential is there for publishers to make their backlists available w/o large, costly print runs. Imagine books never being “out of print”. BN is also working the Nook Press angle to help self-publishing authors get hard copies of their books to readers. The entire process takes less than 20 minutes, most of which is spent waiting for the file to download. The paper quality is nicer than I expected, but not anything too expensive. And you take your chances with the type of cover. I wasn’t particularly fussy about the one I chose. I just wanted to experience the process. Check out my little video below (really this post was all about the video), comment and tell me what you think. Will you be trying out the Espresso Book Machine? What books would you like to become POD? Love that you included a video! When I self-publish I’ll be putting out a paperback via POD through Createspace. With that process they’re just going to mail me whatever books I order. If someone orders a book from BarnesandNoble.com or Amazon, they’ll print it and send the book directly to the customer. A nice set up so I won’t have to worry about mailings and postage. The only difference between a POD book through Createspace and a traditionally published book sitting on the shelves of a Barnes and Noble store is that the very last page will have a print date, location, and barcode that is put there by Createspace. I’m curious, did the POD book you bought have a barcode on the back? I don’t remember. I’ll have to check when I get home and let you know. Thanks for reading and good luck!! Edit: It does have a barcode in the back.